There's no better time for a fresh start than the New Year, whether you're planning your next getaway, picking up an exciting hobby, or just taking on more experiences. If you're looking for something different to jumpstart your year, try the new Sweet Soy Chicken Fillet, McDonald’s exciting addition to its best-selling Chicken Fillet range! The latest offer features the crispy chicken fillet that you already know and love—now glazed in a lusciously rich, sweet, and garlicky sauce. It’s a deliciously sweet and savory upgrade to your everyday Chicken Fillet habit! 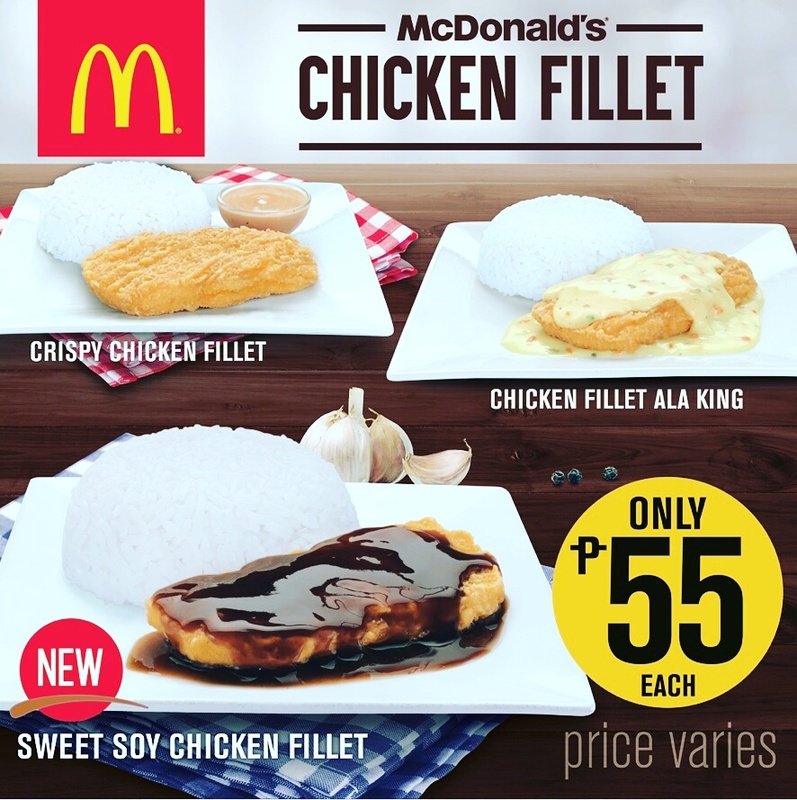 The Chicken Fillet range is now bigger than ever with an expanded line-up of flavors, from the mouthwatering Sweet Soy Chicken Fillet to old favorites like the creamy and buttery Chicken Fillet ala King and the Crispy Chicken Fillet with Rice paired with gravy. You’re sure to have plenty of choices to satisfy every hunger craving this year! The new Sweet Soy Chicken Fillet, Crispy Chicken Fillet, and Chicken Fillet Ala King start at just P55 for solo orders. Here’s an extra tip for an even more delicious meal: you can now upgrade any rice meal to garlic rice starting at just an additional P5. Dig into the new Sweet Soy Chicken Fillet any time of the day when you dine at McDonald’s restaurants nationwide. You can also order through mcdelivery.com.ph or using the McDo PH app. Tell your friends and family to try something new and affordable this 2018 by sharing your photos on Facebook, facebook.com/McDo.ph or tagging @McDo_PH on Instagram and Twitter.